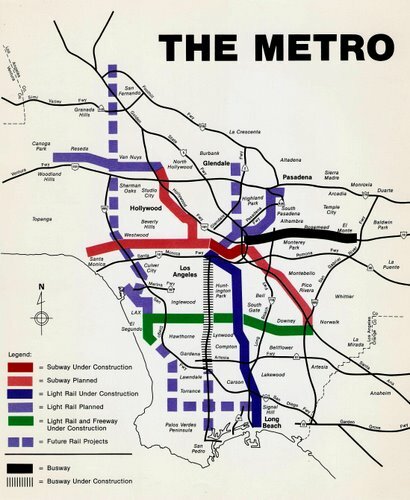 While looking through some old papers that belonged to my grandmother, I found this map from the early 1980s of Los Angeles’ projected Metro rail system. It was part of a promotional package sent to Los Angeles city residents. More than twenty years later and sadly only a few of those lines became reality. This entry was posted in Geography, Greater Los Angeles, history, Technology by chimatli. Bookmark the permalink. Connector routes? Seriously? The top map looks like a real transit system; the bottom one just looks like a bunch of trains. 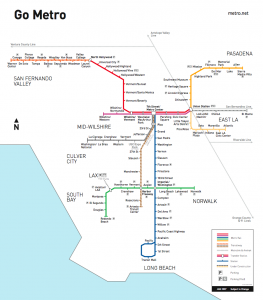 LA is so sprawled that you’ll never get NY or SF type of public trans, where you could walk to a train from almost anywhere, but if that 1987 plan had come to fruition the traffic would be a lot better today. The one that would have run along the 405 route would have been a life saver. i dunno, not many things on opposite ends of two decades and many billions of dollars would look that similar. also, if you browse around metro dot net slash projects, mta is really doing their best to build things while they’re still flush with measure r (our?) cash. 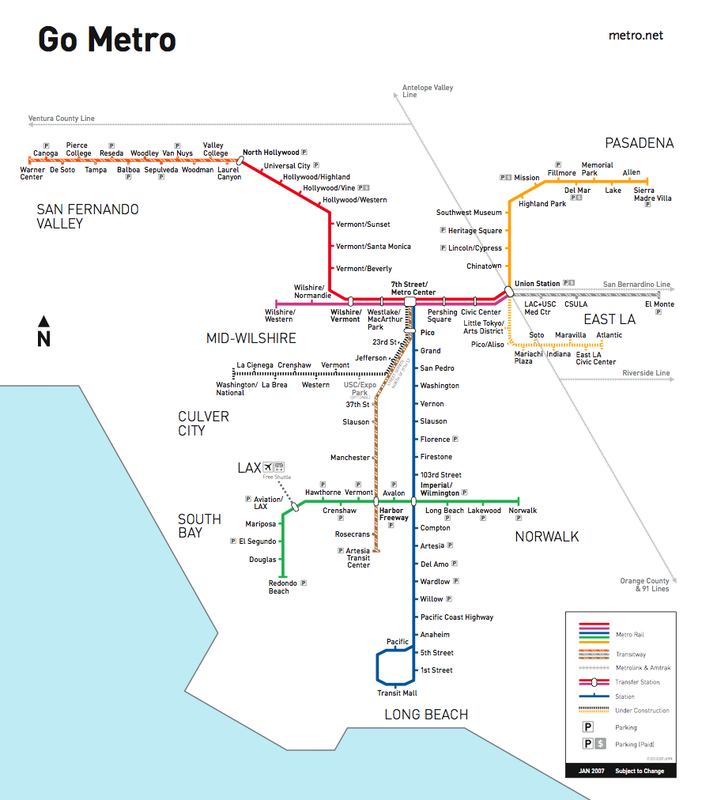 orange line extension in the valley, expo line for the westsiders, crenshaw corridor for the south/south bay and gold line extensions on both ends for the east. one of my urban planning friends tells me coming out of the red line lawsuit settlement is helping move things along too. as for how realistic completion of all these projects is, well, at least their hearts are in the right place at the moment. ah yes, i remember hearing about plans for that subway to the eastside that never happened (we eventually got the goldline instead). i was soooo looking forward to catching the redline subway on whittier/atlantic. This map is a really cool find! Thanks for sharing Chimatli! I’m starting to get used to the red line myself. Hollywood has been mulling over a “Warriors” remake set in Los Angeles for decades now. I’m convinced the reason it’s never happened is because the subways were never built. Can’t have The Warriors without subways. Everyone carpooling to Cyrus’s big meeting? Yeh.